Willy Wonka has a favorite book. I know he’s only 11 weeks but the colors and designs catch his attention. Willy Wonka has an extensive library and I can’t wait until he gets more interested in books. 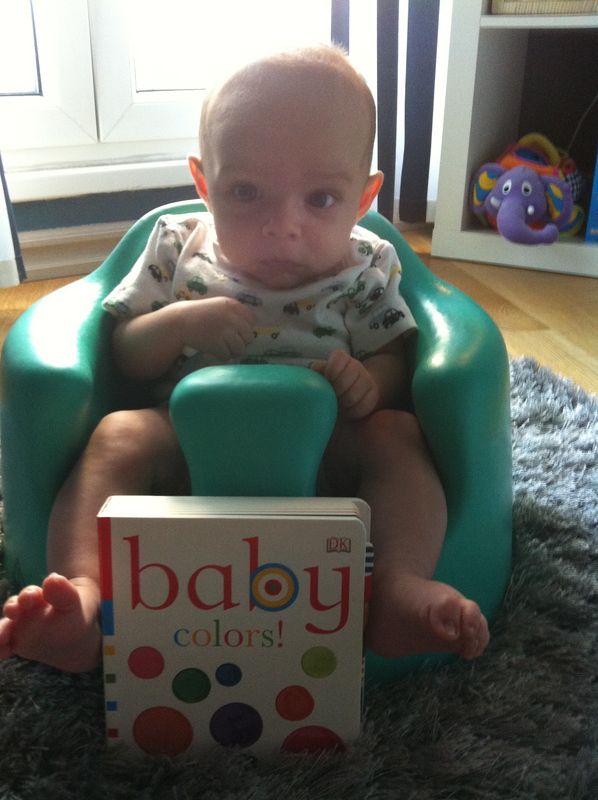 Yes I know the Bumbo chair has been recalled. We only use it on the floor and with adult supervision.